Christmas cryptolist printable. Puzzles to print engage vocabulary building and problem solving skills for students in late elementary 4th, 5th, 6th grade classrooms. Suitable also for home school environment. 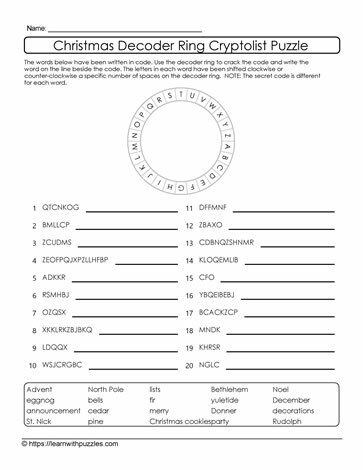 Challenge family, friends and peers to see who can decode the list of words first.